We are getting close… to completing the build out of the interior of our project. I would like to share some of the design details and finishes that we have chosen. This building is an old auto garage so we are keeping the existing open floor plan of the main garage space with minimum interior walls being constructed. The perimeter concrete walls will remain intact without the addition of a drywall finish. The walls have so much character; the imperfections on the concrete block that have accumulated over the years are too interesting to cover up. The walls will be painted and some of the imperfections enhanced with paint layering. The 3 overhead garage door openings have been replaced with impact windows and doors with the center opening now serving as the main entrance. Since it is important to our design concept to retain as many of the auto garage components as possible we designed this elevation to keep the overhead doors in place behind the new glazing. Manual lift mechanisms have been installed to enable us to raise and lower the garage doors. We are using the roll down doors as large metal shades for both privacy and sun control since the openings are located on the south façade. Broad horizontal stripes will be painted on the interior of the overhead doors to add a bold touch to the space when lowered. Due to the absence of interior walls we will have an open workspace. Open work spaces can offer important benefits. Our windows and doors are south facing which will allow natural light to filter through the entire office and provide views of the outside. Studies have shown that natural light and views of the outdoors provide occupants attributes of increased patience, productivity and physical health. Open work spaces can be beautiful but do lend themselves to noise issues that need to be addressed in order to function well. Since we are not constructing interior walls, the spaces and their usage will be delineated by furniture and lighting placement. “Floating” furniture and fixtures will create visual separation as well as help control sound transference. The existing concrete floor will remain but be polished and stained. Hard surfaces do a poor job of absorbing sound, so we will be using large area rugs to help minimize noise. The ceiling height is 12 ft. in this portion of the building and is a great architectural element, yet can also contribute to unwanted noise. Once we are in the building and experience the day to day noise levels, additional soft acoustical materials may need to be added. In addition, plants provide sound absorbing capabilities that can work just as effectively in an indoor environment as an outdoor setting as well as provide health benefits, including improving oxygen levels. We may even include a living wall! Two of my favorite sustainable design choices are on the exterior of the building. A recycled glass mosaic of an abstract nautilus shell was created to adorn the south elevation. Metal “green screens” will be attached to the front apex of the building to create a green wall that will add beauty and provide shading to the stucco exterior. There is still much to be accomplished but we look forward to being in our new space and sharing the completed details and photos with you. 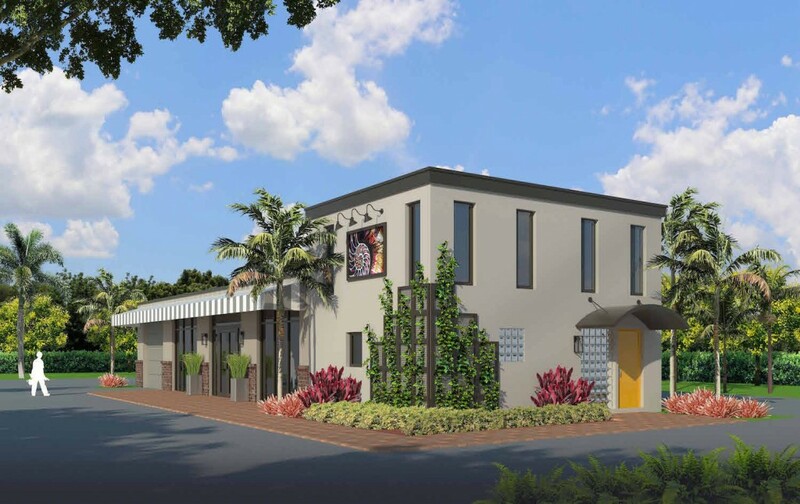 Emerald Skyline Corporation, in conjunction with Golden Spiral Design, is designing, renovating and repurposing an unoccupied industrial building located in Boca Raton, FL. This distinctive commercial building will include many sustainable features with the intent to obtain LEED (Leadership in Energy & Environmental Design) certification from the USGBC. LEED certification recognizes performance in five key areas of human and environmental health: sustainable site development, water savings, energy efficiency, materials selection and indoor environmental quality. It is a whole-building approach to sustainability which will enable us to save on utilities and maintenance while improving the well-being of our personnel and our clients. LEED is a third party certification program and the nationally accepted benchmark for the design, construction and operation of high performance green buildings. The LEED Green building rating system encourages and accelerates global adoption of sustainable green building and development practices through the creation and implementation of universally understood and accepted tools and performance criteria. 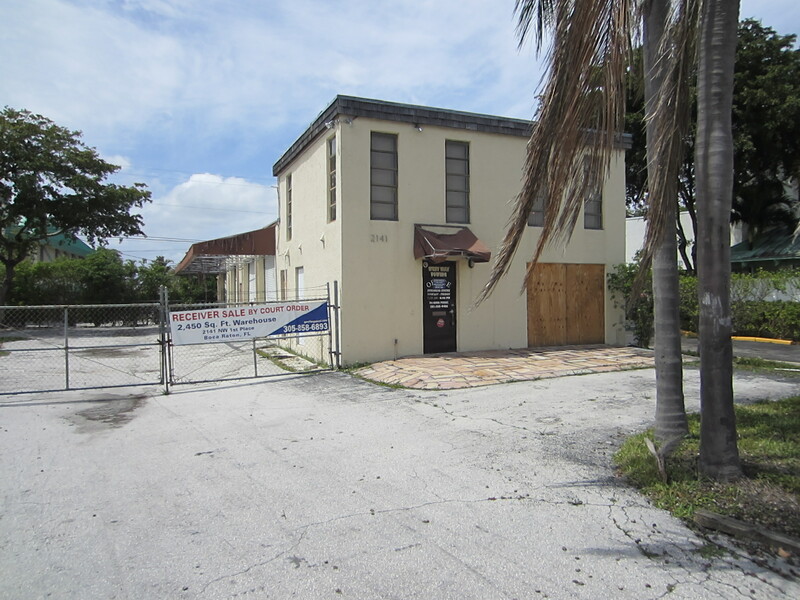 We continue to modify the design of the building in preparation for submission to the City of Boca Raton Development Services Department. In preliminary meetings with the Planning Department and Traffic Engineers it was determined that the building occupancy will require a minimum of 8+ parking spaces per the existing (dated) Municipal Codes. The limited space for parking on the site will make it difficult to meet these requirements. Based on our plans intended use of the building, our parking needs for the building are much less than the codes require. Both Emerald Skyline and Golden Spiral employ sustainable business practices which encourages personnel to spend the majority of their time working remotely. Boca Raton’s current parking requirement is not congruent with sustainable thinking which encourages “hotelling” or “hot desking”, the use of public transportation and alternate commuting methods such as riding a bicycle. In meeting with representatives the City of Boca Raton, they have indicated that they might help us on this initiative as they have special exemptions for sustainable buildings. Our goal is to have the minimum number of spaces necessary to satisfy our needs. Providing a solution to soil erosion by allowing grass to grow within the spaces of the block and blend in with the surroundings. Reducing heat that is transmitted into the atmosphere from hot pavement by providing a vegetative and reflective surface. Rating systems like LEED are critical proving grounds for building strategies that address an inclusive set of risks that require our attention beyond fire safety, disability access and other crucial areas. Building codes have presented barriers to the application of more forward-looking technologies, materials and methods. Building green requires a multi-disciplinary approach to break down the walls between planning, design and construction. The existing codes have been a factor in the business-as-usual construction process. As the viability, cost-effectiveness, and many benefits of green building continue to prove their worth, code safety needs to evolve to incorporate a broader scope of responsibility that are now expected. 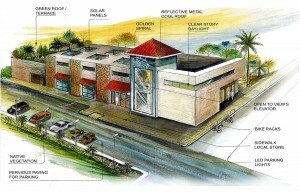 We are hopeful that building codes, including those of Boca Raton, will begin to encompass sustainable building needs. Our project in Boca Raton is being designed to become a LEED certified building. The U.S. Green Building Council’s (USGBC) Leadership in Energy and Environmental Design (LEED) green certification system is a tool for evaluating and measuring achievements in sustainable design. LEED consists of a set of perquisites and credits with specific requirements for obtaining points in order for a building to become LEED certified. Many people are not familiar with the concept of sustainable design and how it relates to building construction and ongoing building operations. The built environment impacts our natural environment, our society and our economy. This concept is often referred to as the 3 P’s, people, planet and pocketbook. Sustainable design attempts to balance the needs of these areas by integrating design solutions. The main objectives of sustainable design are to reduce or avoid depletion of natural resources such as energy, water, and raw materials; prevent environmental damage caused by buildings and their infrastructure; and create livable, comfortable and healthy interior environments. 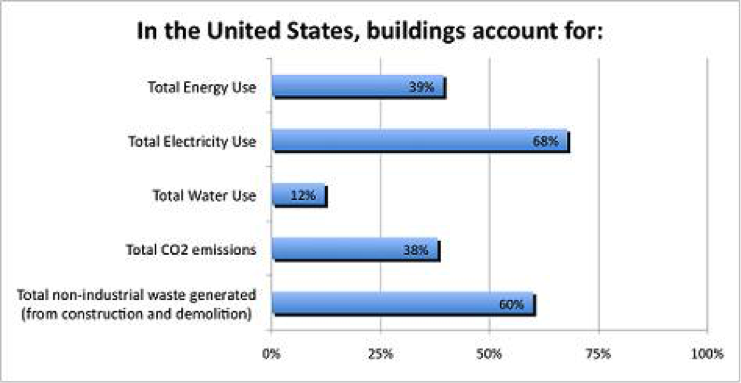 Sustainable design does not just apply to new construction; retrofitting of existing buildings should be an option and can be more cost-effective than building a new facility. With our project, we opted to retrofit as well as reposition an existing building rather than allowing further decay of the property or demolishing it and building new. My future posts will focus on specific details and products that we will utilize in our sustainable design process. While the definition of sustainable building design continues to evolve, according to the Whole Building Design Group (WBDG) Sustainable Committee there are six fundamental principles that persist. References to some of our sustainable design solutions that will be written in upcoming posts are included below in the fundamental principles. Creating sustainable buildings starts with proper site selection, including the reuse or rehabilitation of existing buildings. We chose a contaminated site and remediated the property. The project is an abandoned auto body garage that will be repurposed rather than demolished. 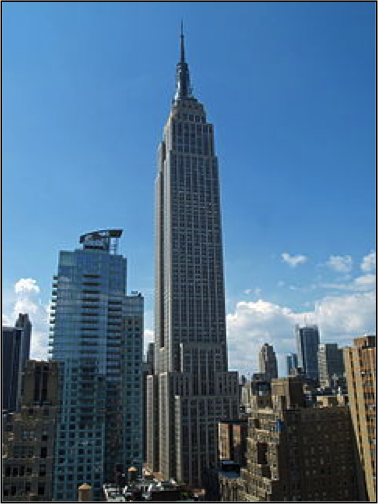 Location, orientation, and landscaping of a building affect ecosystems, transportation methods, and energy use. A south facing orientation will enable us to harness solar energy and utilize the sun for daylighting within the structure. Proximity to major bus and train lines provides alternative transportation. It is essential to find ways to reduce energy load, increase efficiency, and maximize the use of renewable energy resources. Fresh water is an increasingly scarce resource; a sustainable building should use water efficiently, and reuse or recycle water for on-site use. Available resources are stressed to due demands for additional goods and services. A sustainable building is designed and operated to use and reuse materials, environmentally preferable materials have a reduced effect on human health and the environment. 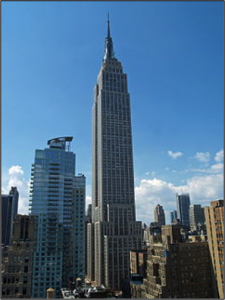 The IEQ of a building has a significant impact on occupant health, comfort, and productivity. A sustainable building maximizes daylighting, has appropriate ventilation, moisture control, optimizes acoustic performance, and avoids the use of materials with high-VOC emissions. Encourage optimal operations and maintenance systems during the design and development phases, specify materials and systems that simplify and reduce maintenance requirements; require less water, energy and toxic chemicals. Include meters to track sustainability initiatives, reductions in energy and water use and waste generation. Utilizing a sustainable design philosophy encourages decisions at each phase of the design process that will reduce negative impacts on the environment and the health of the occupants, without compromising the bottom line. It is an integrated, holistic approach that encourages the balance of people, planet and pocketbook. An integrated approach of sustainable design should positively impact all phases of a building, including design, construction and operation. LEED Certification provides third-party validation that our building was designed and built to improve energy savings, water efficiency, carbon dioxide emissions, resource conservation and indoor environmental quality. We look forward to showcasing the progress of our much anticipated sustainable renovations. If you work at the new 600 Brickell office tower in downtown Miami, you don’t have to take a car or walk a block to grab lunch. One of the building’s features is a large golf cart that shuttles people to popular lunch spots. The idea is part of the building’s green image because it stops people from firing up their gas-guzzlers just to make a short trip. But it’s also a nice amenity. It’s a benefit offered by the new king of green among Miami’s environmentally friendly office buildings. The first LEED Platinum-certified office tower in Florida is so far living up to its ranking, the U.S. Green Building Council’s highest rating of a building’s sustainability. Loretta Cockrum, chairwoman and CEO of Foram Group, developer of 600 Brickell, isn’t shy about the benefit to her and her company. For example, Cockrum recently signed Northern Trust Bank to relocate to the building. The bank said the LEED Platinum rating was an important factor in the decision. 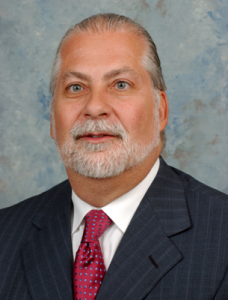 “The decision was influenced by 600 Brickell’s infrastructure and amenities, including an internationally certified information technology security system, expandable IT capacity and a green environment that benefits the health and well-being our employees,” said John Fumagalli, president of the bank’s Florida operations, in a news release. Getting the USGBC’s highest certification was important to Cockrum, but building quality was more important, she said. “Forget about LEED; it just makes sense,” Cockrum said. “If someone said to you, ‘I can save you 3 million gallons of water a year for X number of dollars,’ would you do it? I said, ‘Why wouldn’t I?’” Cockrum says she is surprised such standards are not required for all buildings. Based on her experience, the most valuable feature for occupants is the quality of air and light in the building. 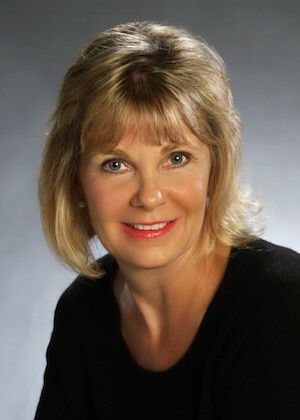 Many studies have shown fewer sick days in LEED-certified buildings, and Cockrum said her company has noticed that impact on the staff. Edwards & Zuck, the engineering firm on the project, said the building is one of three LEED Platinum-certified high-rise buildings on the Eastern Seaboard, and one of only 13 of its size in the world. 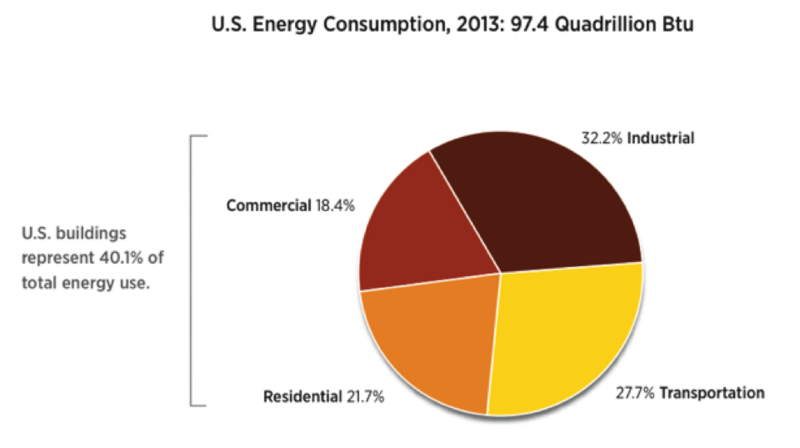 •	14 percent lower energy costs than average code compliance. •	30 percent less water use than an average office building. •	10,000-gallon tank for rainfall and condensate collection used for landscaping and fountains. •	Energy use is monitored through a building automation system and adjusted to maximize efficiency. •	18 percent reduction in energy costs from CO2 sensors and dampers, adjusting ventilation to make HVAC systems more efficient. •	15-foot perimeter of outer office space uses “daylight harvesting” to lower lighting costs by using sunlight on bright days. •	2.5 million square feet includes 614,000 square feet of office space, retail space, parking and outdoor space. •	Motion-censor lighting turns off lights when no one is present. •	Ultra-low-flush fixtures and waterless urinals. •	Impact windows rated at up to 334 mph.